In association with Concerts SA and Luthuli Museum, iSupport Music Business presents Dr Thokozani Mhlambi and Iza Ngoma in Groutville. The musicians will visit the Luthuli Museum on June 1, 2018. 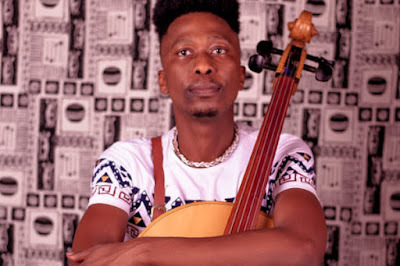 Dr Thokozani Mhlambi is an internationally recognized KZN-born cellist and composer, Mhlambi's style of music draws from the rich heritage of KZN, while still asserting global standards of quality music-making. “The audience can expect music that is simple and yet incisive, showing a deep engagement with the archive (the rich history of southern Africa) whilst wrestling with contemporary forms; conveying the rigours of Western classical discipline, with the imaginative limitlessness of African performance traditions” says Dr Mhlambi. In 2016, his composition Uyambona lo Mfana was performed by the Delta Ensemble of Modern Music in Brazil. He is a winner of the African Studies Prize. In 2016, he was also commissioned by New Music SA to compose an electronic piece which was performed at the Unyazi Electronic Music Festival in Cape Town. Mhlambi was also one of the featured artists in the World Summit on Arts & Culture. His piece Ukuxhentsa kwa Miriam: Inspired by the life of Miriam Makeba was proudly published by the Miriam Makeba Foundation on their online platforms. Ukuxhentsa was originally commissioned by the Izithunguthu Precolonial Conference 2015, a conference curated by the Archive & Public Culture Research Initiative & the Five Hundred Year Archive Project. Iza Ngoma started late 2016 when three UKZN music students, namely bassist Charles Mdakane, trumpet player Phuti Mofokeng and pianist Sibusiso Shabalala gravitated towards each other, with a common interest and resonance in musical preferences. The three spent time in the practice rooms for hours unravelling, jamming, immersing themselves in sound, mostly South African jazz and headed to their respective homes with great delight. They eventually decided to take this delight to audiences and started performing on campus where they realized the music resonated with the audience as much as it did with the trio. The band is constantly exploring other colours in the music spectrum, besides jazz, which happens to be what they study academically. “Our audience should look forward to a change in African brewed Jazz, which is one of the wonderful things about modern Jazz.” says bassist Mdakane. On the Iza Ngoma band stand will be Hlubi Vakalisa Jele on saxophone, Phuti Mofokeng on trumpet, Sibusiso Shabalala on piano and vocals, Charles Mdakane on bass guitar and Kabelo Mokhatla on drums. This performance by Dr Thokozani Mhlambi and Iza Ngoma is part of the Concerts SA Venue Circuit which aims to foster a love and support for live music in communities, as well as anchor small and medium sized venues in urban and rural Gauteng, KwaZulu-Natal, and the Western Cape. Concerts SA is a joint South African/Norwegian live music development project housed within the SAMRO Foundation. Concerts SA receives financial, administrative and technical support from the Norwegian Ministry of Foreign Affairs, SAMRO, the SAMRO Foundation and Concerts Norway. The performance will take place at 18h00 on June 1, 2018, at the Luthuli Museum in Groutville.